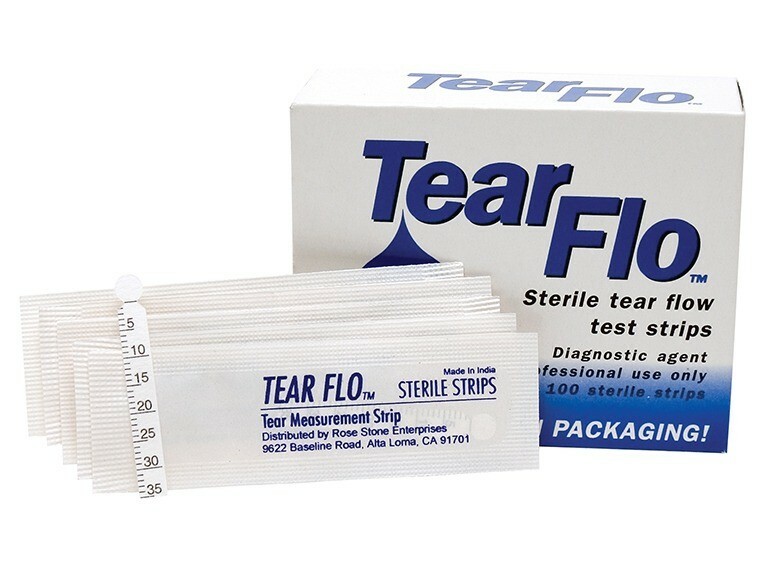 Schirmer-type tear test for measuring and recording tear volume. CE marked. 100 sterile strips per box.